Operation Sunbird 2014: Mark Your Calendars! Are you intending to commit to your next big marathon race at the end of the year? Are you looking for a tried and tested training program which have brought so much success to marathoners, help you meet your targets at Standard Chartered Marathon Singapore (SCMS)? 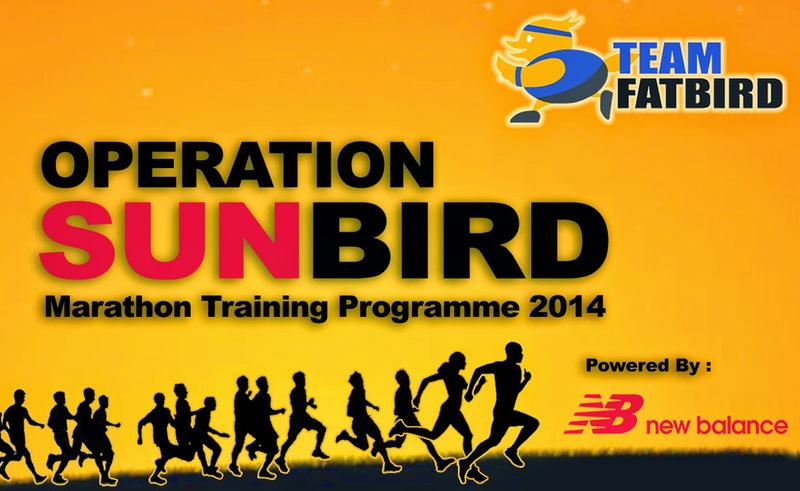 To support your marathon training preparations for the SCMS 2014 and other year end international marathons, Team FatBird is pleased to announce the popular and effective training program of strength and endurance – Operation Sunbird 2014 , 12-week FlightZONESTM structured Marathon training program. Here’s a glimpse of past year’s Ops Sunbird journeys. Enjoy! Sunbird Journey 2013 – Follow Our Pace, Win Your Race! Training will begin in September 2014 for successful applicants.